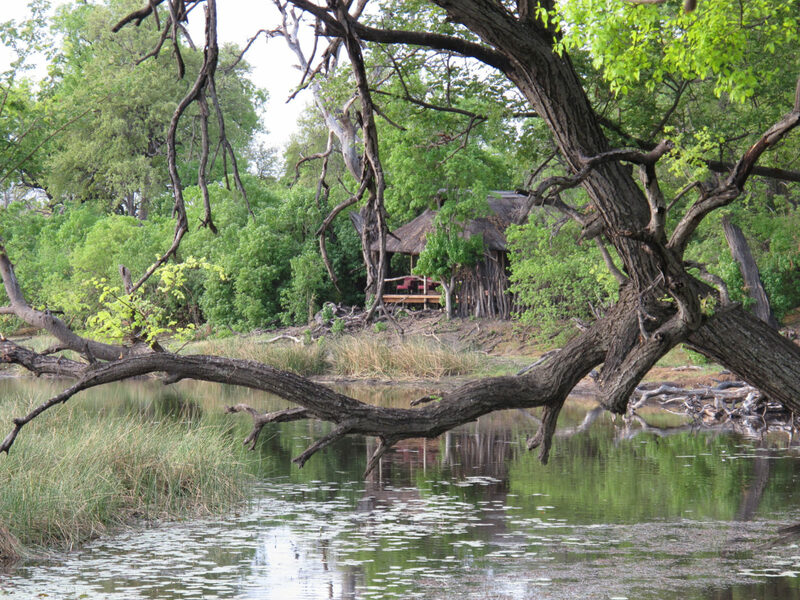 Savuti Camp is situated on the Savute channel in an isolated part of the private Linyanti Concession, ‘downstream’ from the Zibadjanja Lagoon, the source of the Savute. The channel is very much dependant on yearly flood levels and rainfall. 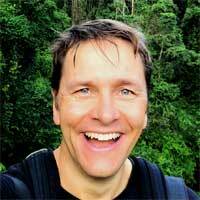 When in flow, it becomes a deep waterway with lots of splashing hippos and water birds, turning into a productive ribbon of grassland that, when not in flow, attracts a wide variety of herbivores. 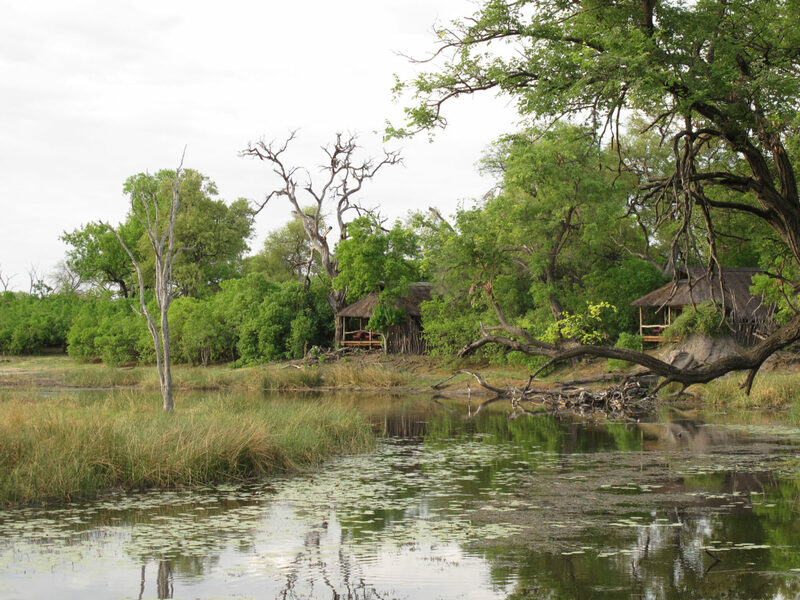 This intimate camp’s accommodation is in seven large walk-in tents with en-suite facilities; each tent is raised off the ground and faces across the Savute Channel. 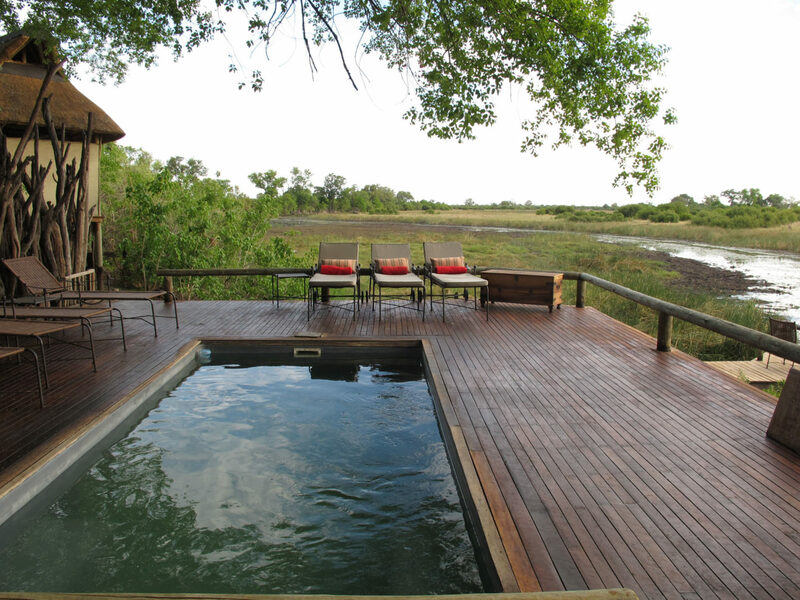 From the camp’s thatched dining area and bar, a plunge pool and large viewing area extend outwards on raised wooden decks towards the channel. Activities are day and night open game drives, nature walks with an armed guide (on request/within safety restrictions), and several well-positioned hides for safe, up-close animal viewing. Game concentrations in the area are high, particularly in the winter dry season, and apart from abundant plains game, species such as roan and sable antelope, southern giraffe, lion, leopard, cheetah, spotted hyena, black-backed jackal and wild dog may also be encountered. The birding is awesome at any time of year but best in summer. 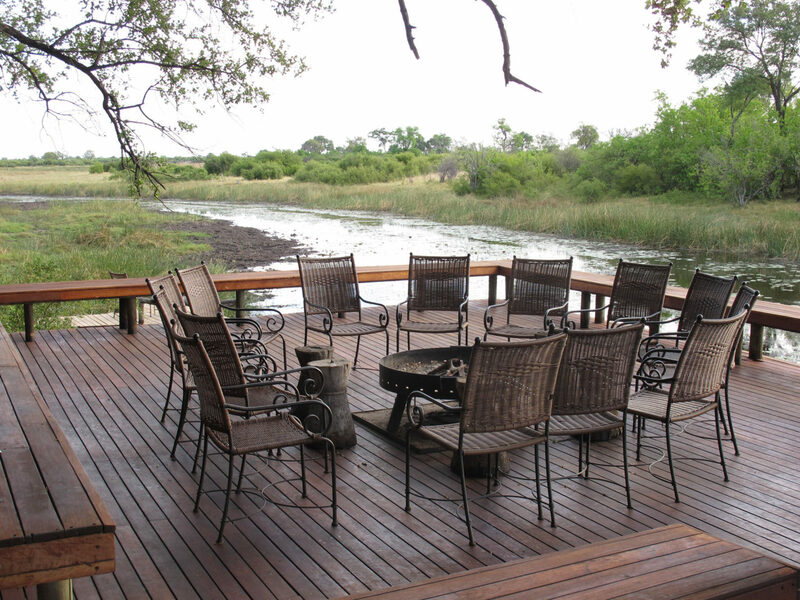 Activities are focused on game drives. During periods of high water levels, water activities may be possible but are not guaranteed. Large walk-in tents with en-suite facilities, thatched dining area, pub, plunge pool and large viewing area on raised wooden decks. Game viewing varies according to whether the channel is wet or dry. When dry you may see abundant plains game including both roan and sable antelopes, southern giraffe, lion, leopard, cheetah, spotted hyena, black-backed jackal and wild dogs. When wet, you can see hippo, elephant and many waterbirds. The birding is generally good throughout the year. There are two hides giving great up close encounters with the wildlife. The birdwatching is fantastic all round.